Katy Development Project - Projects - H2Offshore Engineering B.V. Client Seaway Heavy Lifting Engineering B.V. The Katy platform is fabricated by SLP in Lowestoft UK and installed by the heavy lift vessel “Stanislav Yudin” of Seaway Heavy Lifting in July 2012. The Katy gas field is located in Block 44/19b of the UK sector of the Southern North Sea. 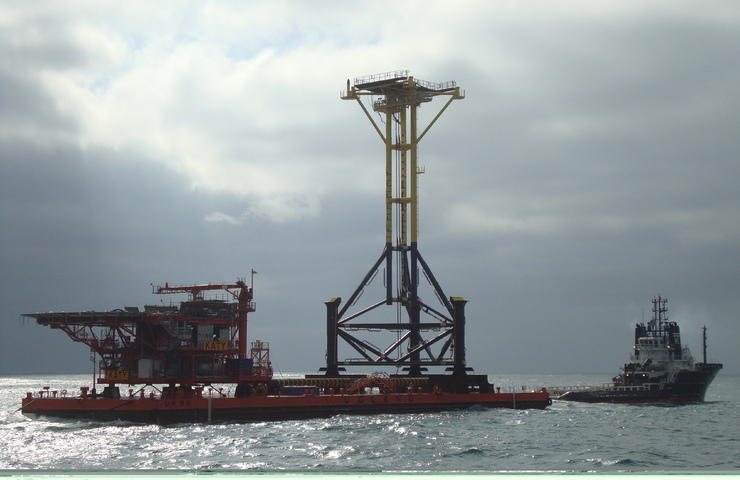 The Katy minimal facility platform consists of a three legged Jacket structure of approximately 470 mT, three 60 inch skirt Piles of 55 m long driven to approximately 38 m penetration and an integrated Topside weighing approximately 370 mT. Sea Trucks Netherlands Group B.V.